BASIS Independent Silicon Valley’s curriculum for grades 8-12 (Upper Grades) is widely acknowledged as one of the most academically advanced programs in the world. Taught by our coveted Subject Expert Teachers, our Upper Grade curriculum challenges students to the highest international standards. 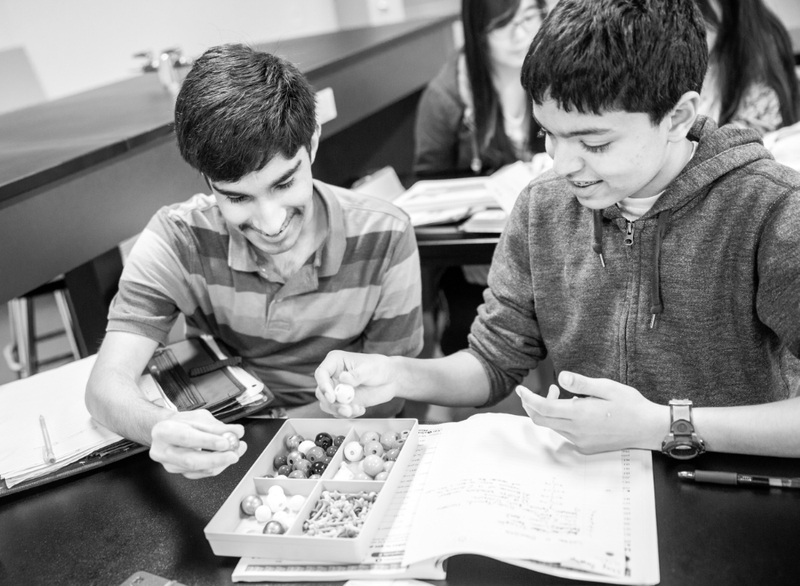 Students are held accountable for mastering the material – including our rigorous science program which begins in grade 5 and extends through Honors and Advanced Placement (AP) courses. As discussed in part one of our Beyond the Microscope series, BASIS Independent Silicon Valley students begin their science journey in grade 5 with Introduction to Science by building a strong foundation of applied learning, critical thinking and philosophy. 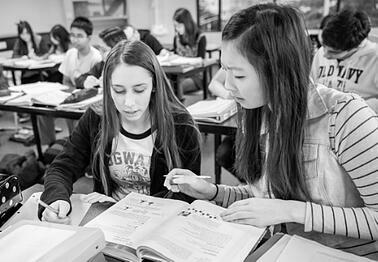 By grade 8, students are cultivating and refining their analytic science skills, preparing them for the challenging Honors and AP road ahead. Labs are a critical element of mastering science, especially in the Upper Grades, as it brings the curriculum to life and is integral to the success of students’ comprehension and subject mastery. In this installment of Beyond the Microscope we check in with Dr. Anuradha Murthy, an Upper Grade biology Subject Expert Teacher and scientist who takes great pleasure in guiding students through their science journey. Students use popcorn seeds, mustard seeds, and M &Ms to create 2D models of a Sodium ion and a Chloride ion - demonstrating an ionic bond between them, and polar covalent bonds between two Hydrogen atoms and an Oxygen atom to make a water molecule. This lab helped reinforce concepts on how bonds form to make compounds. Using dots and toothpicks, students create models of alkanes, alkenes, alkynes and substituted hydrocarbons. This lab enriched understanding of how Carbon can link up with itself and other elements leading to a wide diversity of carbon compounds. To complement their current curriculum, students prepare and study slides that include various cell types, cell division, as well as plant and animal development. By measuring thin potato slices and celery sticks before and after immersing it in hypotonic and hypertonic solutions, students witness firsthand how osmosis works in cells. Students isolate different pigments from spinach and tree leaves using paper chromatography; helping to demonstrate to the students the importance of the other pigments in a leaf other than chlorophyll. After studying DNA extraction in the classroom, students get behind the microscope to isolate strawberry DNA to understand the reason behind each step of protocol that allows DNA extraction from the nucleus. We asked Dr. Murthy to share her favorite experiment with us. Have a question for Dr. Murthy? Leave a comment for her below! We’ll see you next week for our third and final installment of Beyond the Microscope: Bringing the Sciences to Life Through Labs & Experiments!